​ When considering the common use of resources we generally focus our attention to the consumption of goods. We go to the store and purchase the item and use it until it is used up or no longer functions, and its then recycled or thrown away into a landfill. There is a long path that leads to the goods being placed on the shelf starting with developing the mine or well which we will call point A. The path continues after point A with the actual mining, the shipping of raw materials, the processing and refining of the raw materials, the shipping of the now refined materials, the producing of goods from the refined materials and then shipping of these goods to the store, which we will call point B. All along this path resources are used and the environment is compromised. If for any reason along the way, the resource flow from point A to point B is slowed or stopped the shelves will start to be bare. There are a number of ways that the flow can be disrupted such as; a recession, tariffs, hacking, terrorism, climate change, and more. The simple economic principle of supply and demand takes hold when obstruction occurs. When demand begins to outstrip supply the costs will increase. The Baltic Dry Index (BDI) represents the costs of the shipment (ships) of basic raw materials such as coal, copper, iron, grains, etc. When the index is elevated it is an indication that more resources are being shipped and when the index is low demand or supply is reduced. At a time when the index is high resources can be not only used for the productionof goods but also to build more infrastructures for the path from point A to point B in expectations of future growth and to mitigate environmental degradation. If we look at the BDI before the economic crisis of 2008 the index had risen to almost 12,000 and at the same time gas prices, along with commodities such as iron, copper, and nickel, were skyrocketing indicating that either demand was increasing dramatically or there was a disruption along the path from the delivered raw materials to the shelves at the store (or gas station). There were many explanations for the economic crisis, but one simple overlooked explanation was that there was a snag along the path from point A to point B that caused the costs of maintaining a high throughput lifestyle to inrease dramatically and many could no longer afford to pay their mortgages instigating the economic crisis. Within months the BDI went from a historic high of 11,793 to a low of 663. Ten years later (2018-2019) the BDI is below 700! This index is considered by many economist as an indication of future economic growth because the shipping of raw materials is on the early stage of the economic path. If the raw materials are not being shipped the production of goods is reduced. ​ After the economic collapse the BDI fell all the way down to 663 on December 5, 2008, signifying the low demand for resources. The ripple effects were many. Through quantitative easing (QE) an infusion of money stimulated the economy and the BDI rose. 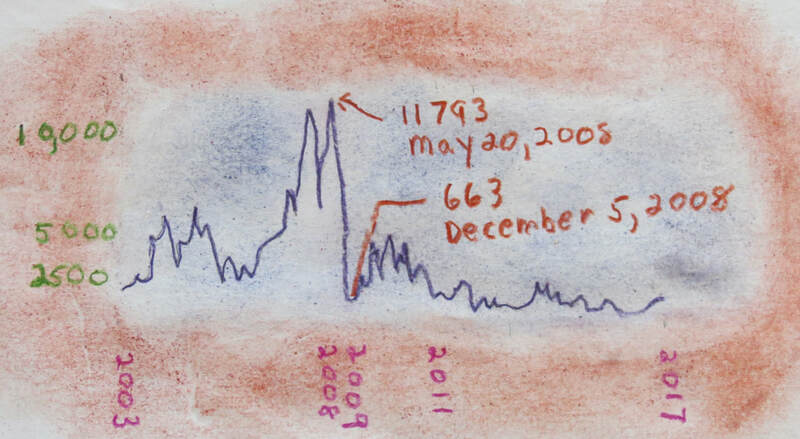 As one can see from the chart, the index was between 2500 and 5000 in the years 2009 - 2011 and since then has ranged below 2500, never reaching the high numbers of the previous years. Recently (March 31, 2019) the index has fallen below 700 as the global economy shows signs of slowing down at a time when debt loads are at an all-time high. The general access to resources is at a low point at a time when climate change, crumbling infrastructure, loss of carbon in the soil and many other challenges all need more resources to mitigate. High throughput lifestyles are compromised under such circumstances. There is a huge question at this point. Can our economy survive with such a low flow of resources as indicated by the BDI and if the economy does enter a recession how with this historic debt load will the population pay back the money owed and at the same time continue to pay the costs of a high throughput lifestyle? Huge paradigm shifts occur when social and cultural norms no longer make sense. A low throughput society will require an increase in physical labor, which could be viewed as a step backwards in the evolution of humankind, or a step forward depending on perception. The first perception considers physical labor as demeaning and without an intellectual base. The latter perception views the labor as a step forward and is much more complicated to understand when physical labor and the intellect are joined together. Since the costs of a low throughput lifestyle are reduced the amount of hours worked for money can also be reduced, and often physical labor offers a form of exercise by learning proper movements, providing a way of building a healthy body. Labor when possible should accomplish more than one task which requires prior planning eliminating unnecessary work. 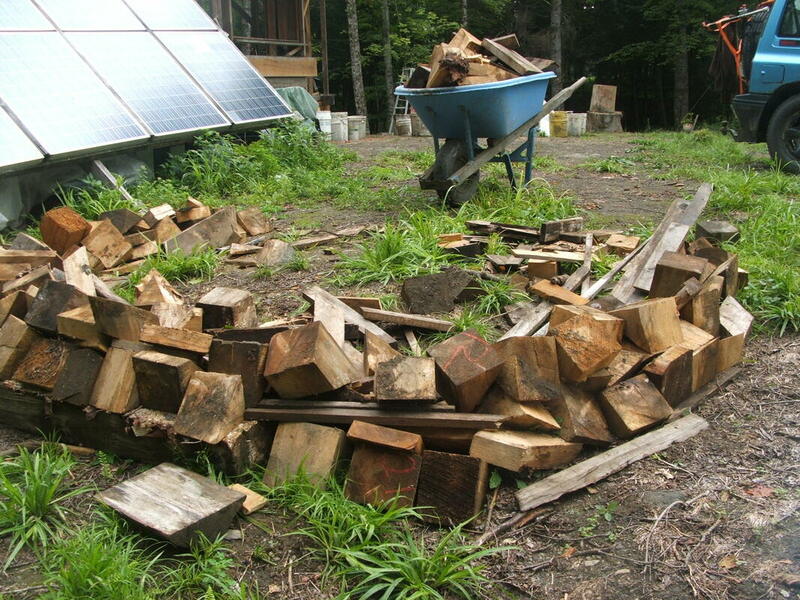 For example, if building a house some of the wood is precut with the left over pieces place in a pile where a raised garden bed will be built, if excavation is needed hand dig and move the dirt and dump the soil on top of the formed pile of wood to produce a hoogle or formed raised garden bed. The wood beneath the pile of wood debris will rot and provide a carbon rich garden with many benifits. The well planned sequence of building can provide exercise, the gardens and landscaping, and the finished building which takes knowledge of carpentry, biology, chemistry, physics, and movement, requiring the intellect along with physical abilities. ​ Humankind is at a critical juncture. Scientific discoveries and technologies offer many solutions to the challenges we now face. However, if we squander our resources on war, technology that eliminates meaningful physical labor while at the same time reducing our will, or creating technology that only the top percentage of the economic ladder can afford, we may not have the resources to solve the world's challenges. If instead, we learn to share the Earth’s gifts, everyone can contribute to the forward progress of science and technology. Through education and compassion we can find ways to share and we can vote in politicians that will make the changes that are needed. A population with high throughput systems in place requires politicians that will pass legislation to insure the massive resource flow continues. A culture striving to reduce the need of masive resource flow will elect like-minded leaders. The choice is ours.